Ford's prices rise again | What Car? Ford will increase its prices by an average of 2.7% next month, making it the fourth price rise the company has introduced this year. The company blames the weak value of the pound, which Ford says has fallen by 30% over the euro since 2007. The price rises mean that an extra 250-500 will be added to the likes of the Ka, Fiesta, Focus, C-Max, Kuga and Mondeo, while customers can expect a 600 increase on an S-Max or Galaxy. 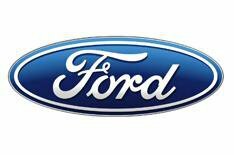 Ford of Britain's managing director, Nigel Sharp, said: 'Price rises are required to maintain a viable business and to recover the relative cost increases caused by the weakness of the pound over an extended period. The increase will apply to orders received after November 30. At the end of 2008, a Focus 1.6 Zetec five-door had a list price of 16,145, but today the same car costs 17,695. Expect the car to cost around 18,000 when the price rises come into effect next month. The pain for Ford buyers won't stop there, however. In January, VAT goes back up to 17.5% so the list price of that Focus will be nearer 18,500. However, discounts are easy to obtain on most Ford models haggle at least 2500 off the Focus in this example. While private buyers can offset the price increases by heavy discounts, company car buyers pay tax on the list price, so they will be affected by price rises.